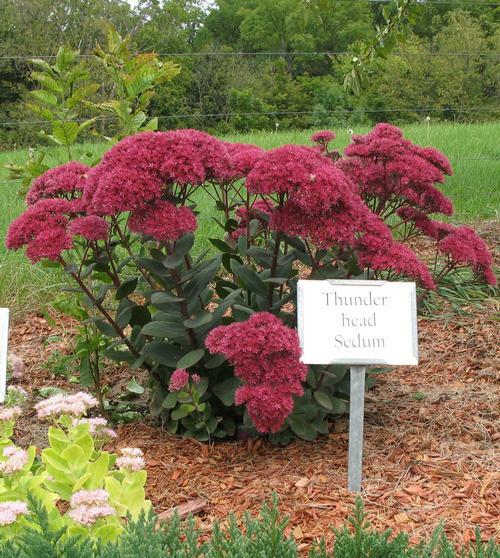 When the huge dark pink flower heads appear in late summer, you'll think they look like thunderhead clouds, flowers mature to red on top of green leaves with sturdy upright stems, fall foliage will be highlighted with red. 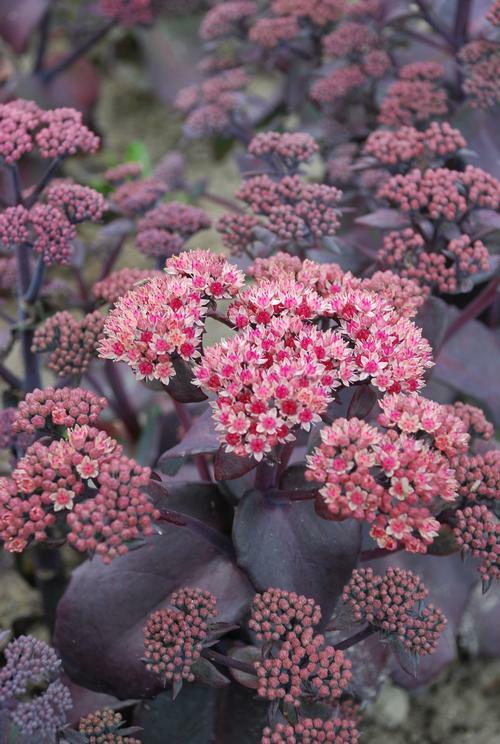 This Sedum has small leaves with scalloped edges that start out green in spring then turn pink and finally deep burgundy in summer, large flower clusters of red buds that open to pink flowers appear in late summer. Very hardy plants with succulent foliage and colorful terminal flower clusters. Most are very heat and drought tolerant, and will grow in almost any soil.